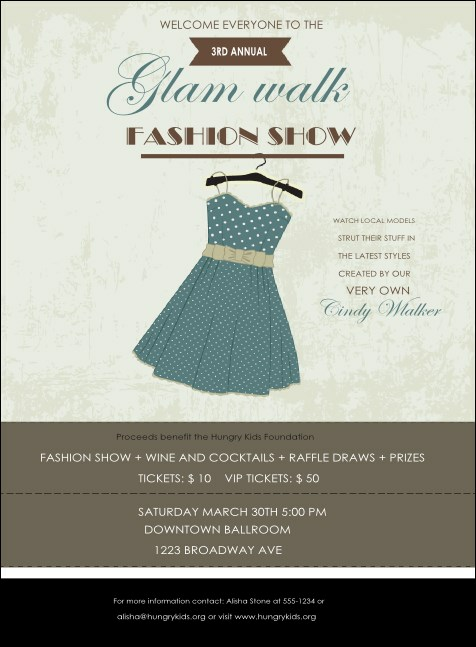 Invite designers, fashionistas, buyers and models when you send out the trendy Dress Invitation. This delightful design comes in soft blue and tan tones, with eighteen lines for event details. Pull your event planning together with a Matching Event Kit for coordinating posters, tickets, and VIP passes! Model great event promotions with the right invitation from TicketRiver.com.au.